Obituary – Reed, Donna Jean (Munger) « Perry High School Alumni Association, Inc.
– daughter of Mr. and Mrs. Wm. Munger, is 17 years old. She was born in Perry, August 3, 1923. She has attended the Perry school for 12 years. She served on the Perryscope staff, home room treasurer and was a member of the high school band. Short story writing and letters are her hobbies. 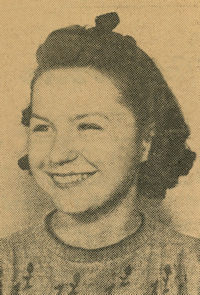 Donna received an award in band and was a member of the senior play cast of 1941. She plans to go to a school of journalism and become a writer. Donna Jean (Munger) Reed was born August 3, 1923 in Perry, Oklahoma, the daughter of William Andrew and Edna Mae (McCracken) Munger. 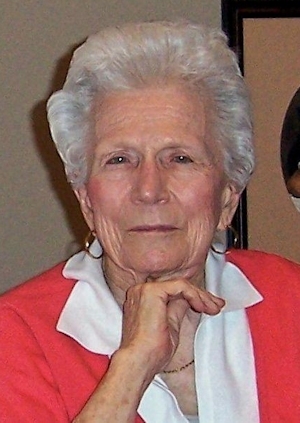 She completed this life on Sunday, July 4, 2010, at the the age of 86. She was preceded in death by her husband, Troy Jean Reed. The couple was married for 49 years and lived and thrived in Tulsa. Donna was a dedicated employee of Taconic Petroleum and Amoco, a master seamstress and quilter, and avid painter and bridge player. Donna was devoted to her family and will be missed by her son, Jim Reed and his wife Janice of Enid, OK; her daughter, Susan Lawyer and her husband John of Tulsa, OK; her sister, Mary Glynn Cochran of Yukon, OK; her brother, George Munger of Lakewood, CO; her grandchildren, Kimberly Reed Coker and husband Ron Coker, Rebecca Chalmers, Amanda Reed Stephens and her husband Justin Stephens and Ashley Reed: her great grandchildren Madison Coker, Grace Cooker, Emma Stephens and Reed Michael Stephens. A memorial service will be held at 11:00 a.m., Friday, July 9th in the Rose Chapel of Boston Avenue United Methodist Church. The family request memorials to the National Parkinson Foundation, PO Box 5018, Hagertown, MD 21741-5018, www.parkinson.org.